There is a business meme circulating that claims that new restaurant chains opening in a city speak to that city’s economic strength, as perceived by outsiders. If that is the case, the Louisville looks to be booming, with several new small chains setting up shop around town. Zeggz Amazing Eggs opened its first store earlier this year at 4600 Chamberlain Ln., and another is expected to open before the end of the year at 4200 Lime Kiln Ln. The fast-casual restaurant will try to distinguish itself by planting a vegetable garden at each location, with the peppers, tomatoes, herbs and other vegetables to be used at the restaurant. 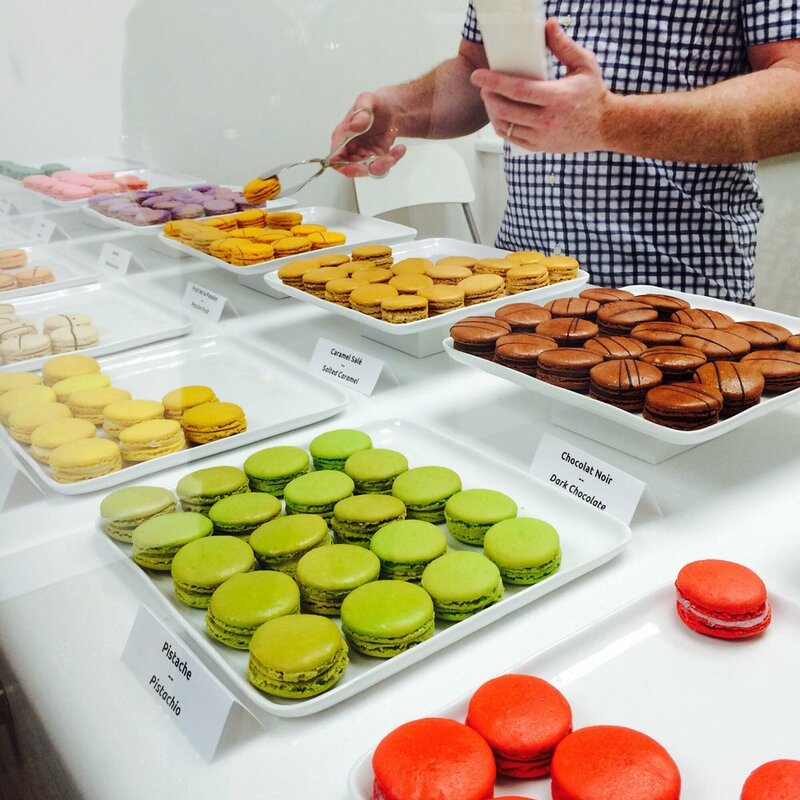 Cincinnati-based bakery Macaron Bar is planning to open a shop in NuLu, at 707 E. Market St., hoping to ride on the continuing popularity of the upscale French meringue cookies made in a variety of colors and subtle flavors. Patrick Moloughney and Nathan Sivitz, business partners who are married, think it is time to bring the trendy French confection to the Ohio Valley. Sivitz studied macaron-making at Ecole Lenôtre in France. A dozen or so flavors will be available year-round, with others rotating in seasonally. They plan on developing a Bourbon-flavored cookie, of course. They plan is to open before the winter holidays. Looking a bit further out, Buffalo Wings & Rings, another Cincinnati-based chain with a sports restaurant focus, has plans to enter the Louisville market with multiple locations within the next year or two. The 60 store chain now in 12 states, already has outlets in Bardstown, Crestview Hills and Hopkinsville. The menu is focused around chicken wings, offered with a range of sauces across the spectrum of spicy heat. Burger, gyros and salads will also be on offer. The Baton-Rouge-based chain is bullish on Louisville’s appetite for strips of chicken breast fried and dipped in sauces, and thinks the area can support several more outlets.